From our extensive and truly unique collection of Venetian mirrored furniture comes the brand new and ever so practical mirrored chest. Crafted from clear cut glass, this marvelous chest featuring 3 uniquely curved drawers with crystal handles is perfect to add a touch of historic Venetian style in your bedroom today. 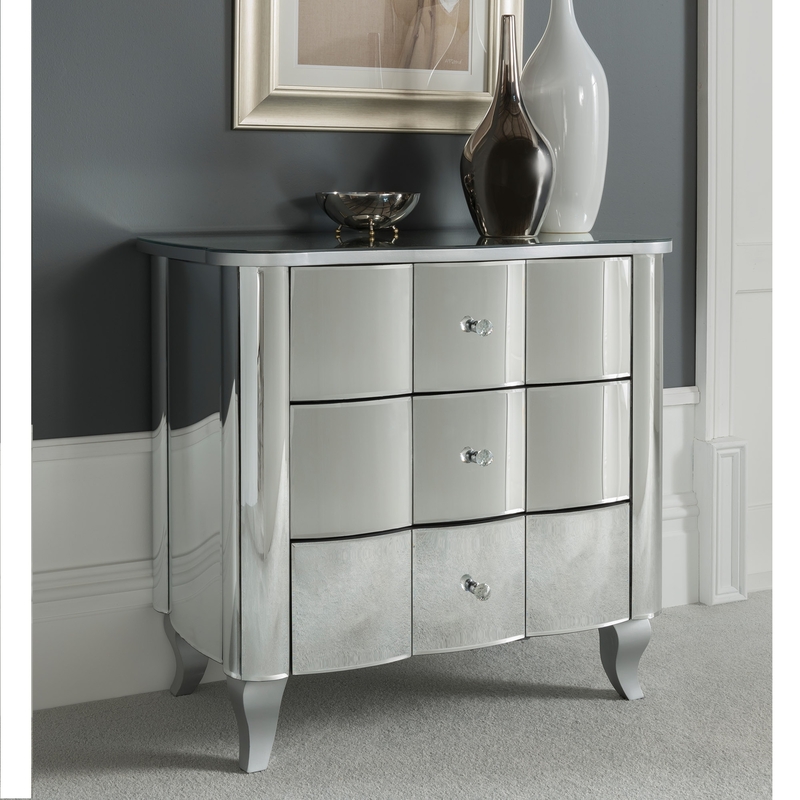 Perfect to give the illusion of a bigger and brighter room, this mirrored chest will work wonders in virtually any home setting.